Diversity and inclusion in the tech industry is a universal issue, and nowhere is that issue more pronounced than engineering teams. Tech teams have long been seen as boys’ clubs, where women and minorities are made to bend to the rules, cultures and opinions of their largely white, male colleagues. Fortunately, that’s all beginning to change, and while there’s still much work to be done, more and more companies are getting serious about shifting the mindsets and makeups of their teams to create a culture where all people and ideas are not only welcome, but celebrated. We asked three local companies to give us some insight into their D&I initiatives and the impact those initiatives have had on their teams, their cultures and even their products. SpotX delivers a video advertising platform for online publishers, media owners and advertisers that enables them to buy, sell and analyze digital ads. 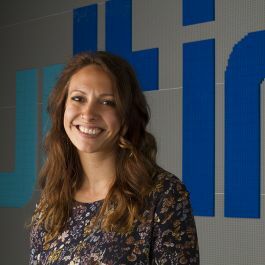 Senior Director of Technical Recruiting Maureen Schilling shared insight into the company’s ongoing diversity efforts — including an upcoming community tech hackathon on October 6, organized and judged by women from the SpotX team. What actions are you taking to build a more diverse engineering team? At SpotX, we are always thinking about diversity and focus on making technology and careers in our field accessible to everyone. We are official Pacesetters for the National Center for Women & Information Technology (NCWIT) and are jointly committed to supporting women in technical roles. We also have a diversity and inclusion committee that meets to discuss having a more inclusive office. Additionally, we have a community outreach and education inclusivity action team that works with local schools to expose high school students to both technology and advertising. Lastly, we host events for the community, like our upcoming hackathon, offering the public a space to come together, learn and have fun while participating in various technology competitions. When did you begin implementing these efforts? What impact have you seen so far? We have been focusing on diversity in our engineering team for the past five years, but diversity and inclusion in the workplace are always top of mind at SpotX. As a result of this changing mindset and recruiting efforts, our engineering team currently consists of both men and women as well as employees from varying backgrounds, races and ethnicities. What are you doing on the inclusivity front to ensure engineers who are part of the team feel heard, respected and included? We believe in our people and we respect each other. We do our best to ensure that all SpotX employees — regardless of their background — feel heard. This summer, we started using a tool called TINYpulse, which helps us gain real-time feedback through company-wide surveys and actionable data. We also host internal town hall events each quarter during which all employees have an equal chance to ask questions anonymously. Gusto delivers a cloud-based platform that helps businesses automate and streamline their payroll, benefits and HR tasks. Spokesperson Rick Chen explained how the company’s diversity and inclusion efforts have impacted its engineering team. Gusto’s culture is employee-driven, and everyone is empowered to take ownership and action. We have a committee of employees across engineering, marketing, people and our founders to support diversity and belonging in our engineering and technical teams. Appropriately, they use a scrum-based agile framework with regular check-ins to collect and analyze any data, take action and hold each other accountable. Three years ago we set out to recruit more women on our engineering team, and recruiters, engineers and other employees began to source female candidates, rewrite job descriptions to remove any gender bias and take stock into how they can represent Gusto in their diverse communities, such as at university career fairs or technology conferences. Today, one in four engineers at Gusto are female, which is a higher proportion than the women majoring in computer science as undergraduates, according to the National Center for Education Statistics. We find that people excel at Gusto when they care about the problems they’re solving, so we empower them to choose their passion projects, share their interests and act to help achieve our common goals. We have engineering town halls and demo days, separate from our company-wide town halls, where presentations are crowdsourced and anyone can ask questions — no matter their preferred communication style — aloud or through our Q&A upvote app. DHI Group leverages data insights to connect the right professionals with the right opportunities, streamlining the recruiting process and creating better matches for specialized roles. SVP of Development Steve Peck shared how hiring people with a variety of skills and perspectives has strengthened his team — and the product. Innovation and excellence are built through diversity and differences that build strong, high-performing teams. DHI is working to hire and build diverse teams by looking specifically for differences and complementary skills, approaches and personalities during the hiring process. We’ve been working to grow our high-performing teams with an emphasis on diversity since we’ve been hiring significantly in Denver. This has helped us provide improved execution and innovation in our products. It helps us have team members and a culture of people who are passionate about the work they’re doing to connect people to their futures. Constantly listening, learning and evolving. Our products and offerings are targeted at many of our engineers (technology professionals), so they have a unique ability to provide input and shape the future and direction of our products. We seek to encourage that and provide opportunities for our engineers to put their passion to work in their job.